SharePoint uses List, Library, Content Type for Data Management in a SharePoint Web Application. How SharePoint Code Deployed to SharePoint Web Application? SharePoint websites are similar to ASP.Net websites as they are hosted in IIS. However There are differences in the process of code deployment. 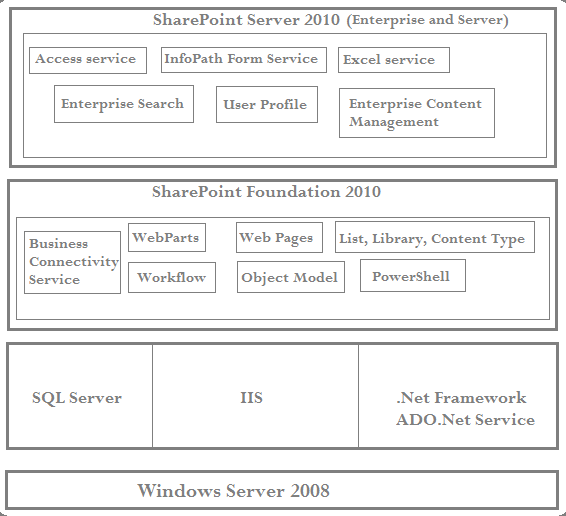 SharePoint code is deployed to SharePoint web application in the form of WSP (Windows Solution Package). Visual Studio has the feature to make a wsp package. That WSP file can be deployed either by central admin UI or PowerShell Command. There are 2 ways that a SharePoint Web Application can access assembly files. GAC/Full Trust : Assemblies are deployed into Global Assembly Cache (GAC). They are accessible from any SharePoint Web Application on the farm. Bin: Assemblies are deployed to bin folder of specific SharePoint web application.